Regardless of which kind of backup strategy you use (on-premise or cloud) no practical organization today would like to take the risk of not having proper backups. Simply imagining the kind of information loss an email system crash could ensue is enough to give the Exchange administrator nightmares, let alone the pain of actually having to go through it. As such, a market flooded with Backup-and-Restore solutions is no surprise at all. Although in most cases, Exchange administrators perform a restore of the entire database from its backup, there could be instances wherein, restoring a single mailbox from backup is needed. For example, a user might accidentally delete some important emails from his mailbox and send in a request to the administrator to restore his mailbox from the backup. In such situations, what is the best strategy to be followed? Before going into the procedure, let us familiarize ourselves with some basics. Usually, single mailboxes are not needed to be recovered from backup since after being deleted, a mailbox can be found in “Disconnected Mailboxes” under “Recipient Configuration”. From here, it can simply be reconnected and restored. Thus, the steps we’re about to explain apply to a situation where a deleted mailbox has been purged from disconnected mailboxes. 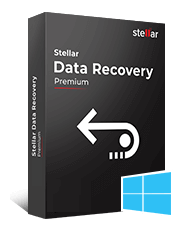 The recovery procedures below assume that the readers are familiar with the backup and restore procedures and that a full backup of the database exists. 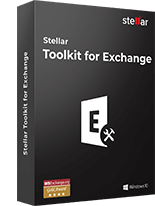 Launch the Exchange Management Shell (EMS) and find out the mailbox server on which the database of the current mailbox resides. Create a temporary user with mailbox located in the same database and give it an appropriate name (for example, add the word “Recovered” to the name). In the DPM console, click on the ‘Recovery’ option and then on ‘Browse’ tab. From the list in the left hand side panel, select the Exchange server name where the database replica resides. The DPM will recover the mailbox from a standby database copy. Select the recovery date and time from the calendar in the display. Locate the mailbox in the Recoverable Item area. Right click on it and select ‘Recover’. Choose the option to ‘Recover to an Exchange Server database’ and type-in the server name and recovery database name prepared for the purpose. Click remaining ‘Next’ buttons to start the process. You must note here that you’ll need to pre-create the target folder that will store the PST file and grant it full access to the Exchange Trusted Subsystem group. Hand over the pst file to the user and delete the Active Directory account and mailbox of the temporary user (with the word “Recovered” in the name). This method makes use of automated backup-restore software. We’re taking the example of 2 popular products here. When the process completes, close the Recovery Wizard. 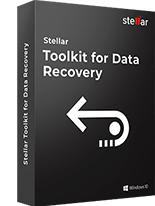 Once the recovery database (RDB) has been created, select the mailbox database to be restored under store selections in the Backup Exec console. Choose "Redirect Exchange Sets" under "Microsoft Exchange Redirection" and specify the Exchange server name under "Restore to server"
Choose "Redirect using Volume Shadow Copy Service (VSS) snapshot provider." Choose "Redirect to storage group and/or Database (Exchange 2007 or later only)" and specify the name of the Recovery Database under "Restore to Database or Recovery Database"
Once restore completes, extract individual data items using EMS commands. Converting the EDB file to PST format is the recommended way to restore mailboxes from edb file if you wish to make the process easier and also if none of the above processes yield satisfactory results. To convert the data, click on Save from the main menu. Choose target format for conversion. 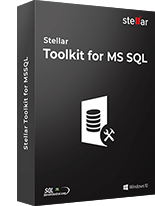 In addition to PST format, MSG, EML, HTML, RTF, PDF and Office 365 formats are available. 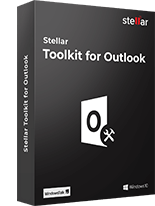 Hope one of the above mentioned methods is able to help you restore individual mailboxes in Exchange 2010. Again, avoid all hassles and risks by using third-party automated application to achieve EDB to PST conversion and extract desired data easily.